This lunch with Camara Jones, MD, PhD, MPH, of the Morehouse School of Medicine will be an opportunity to ask questions about measuring changes in health equity and career advancement. Co-sponored by the Ob-Gyn K Scholar programs, Ob-Gyn Fellowships, and ACTIONS. Hear from social scientists and clinicians who have successfully crafted R01s for NIMH and NIAAA. Drs. Carol Camlin, Sheri Weiser and Sarah Roberts will share their insights into the process of drafting, reviewing and submitting your first R01. Co-sponsored by the UCSF Bixby Center. Preparing a budget for any type of NIH proposal is complex. Come learn from the experts, including Research Management Services team leader Michelle Stevens, Bixby Business Unit director Sarah Glass, and PIs Carol Camlin, Sarah Roberts and Alison El Ayadi. BIRCWH scholars past and present: Where are they now? 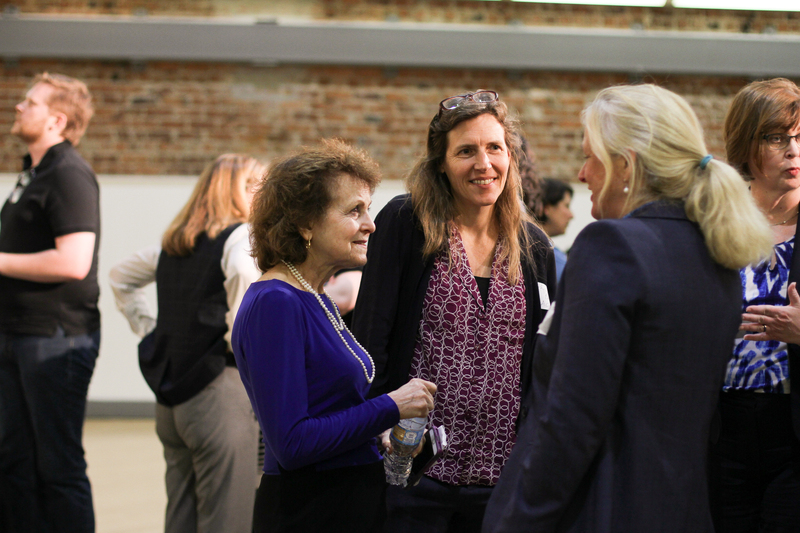 This lunch gathering of past and present UCSF/Kaiser BIRCWH scholars will provide an informal networking opportunity for our community of researchers engaged in women's health. Dr. Collins, a physician-geneticist and NIH Director, will present on his time as leader of the international Human Genome Project, which culminated in April 2003 with the completion of a finished sequence of the human DNA instruction book. Dr. Erin Ferranti, an Emory BIRCWH scholar, will faciltate. This webinar is part of the Leadership Webinar Series organized by the Emory BIRCWH program. Do you move your data from STATA into Excel to make charts and graphs for publication? This lecture and lab will teach you to make publication-ready graphs in STATA 15 directly. Led by Dr. Kristen Aiemjoy of UCSF's Department of Epidemiology and Biostatistics. Participants then move into a break-out session where they workshop the ways in which they experience double binds in their lives and explore strategies for navigating the challenges created by these double binds. This workshop is faciltiated by Sara Jordan-Bloch of the Stanford Center for the Advancement of Women's Leadership and co-sponsored by the ZSFG Division of Obstetrics and Gynecology. Former BIRCWH scholar Dr. Julie Schmittdiel presented her work on stakeholder engagement in research -- a key strategy for moving evidence into practice and advancing the field of translational research. Her talk addressed ways to engage patients, providers, and health care systems in research using participatory based research principles, and discussed specific strategies for engaging with stakeholders to help improve care and sustain learning health care systems. She also introduced several innovative research training programs that incorporate stakeholder engagement into their curriculum. 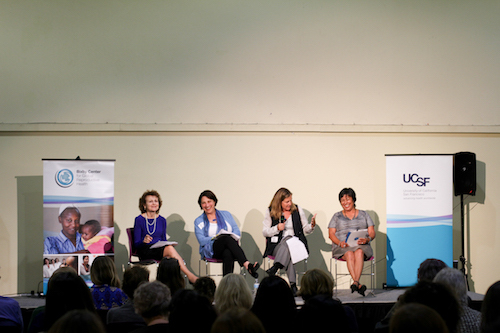 A panel of experts in health policy and women's health programs discussed how maternal and child health care, family planning and reproductive health services may be affected by potential changes coming out of Washington. Dr. Claire Brindis, director of the Institute for Health Policy Studies at UCSF, will join Dr. Jeanne Marrazzo, director of the Division of Infectious Diseases at the University of Alabama, Birmingham and a leading researcher in HIV and STIs. Dr. Sandra Safo, an Emory BIRCWH Scholar and biostatistician, will facilitate. This webinar is part of the Leadership Webinar Series organized by the Emory BIRCWH program. The Data Science Initiative is a relatively new division within the UCSF Library. Ariel Deardorff, UCSF Data Services Librarian, will come share more about the full range of programs and training that her team offers. Areas they cover include programming in R and Python, data visualization, and dataset management and analysis. Dr. Vivian Pinn, the first full-time director of the Office of Research on Women’s Health and Dr. Claire Pomeroy, the President of the Albert and Mary Lasker Foundation, will present. Dr. Vasiliki Michopoulos, an Emory BIRCWH scholar, will facilitate. This webinar is part of the Leadership Webinar Series organized by the Emory BIRCWH program. The UCSF Preterm Birth Initiative is working to decrease he burden of preterm birth in East Africa. Dr. Dilys Walker is leading this effort with country partners in Kenya, Uganda and Rwanda. At this Bixby BIRCWH seminar, she will share how they developed their strategy to tackle this complex problem, and how they will measure success. She will discuss the challenges of implementation science within the context of building a program with sustainable impact. Young women deciding their futures: What’s next for unplanned pregnancy prevention? The National Campaign to Prevent Teen and Unplanned Pregnancy is celebrating its 20th year. While there has been marked progress in reducing rates of teen and unplanned pregnancy in that time, progress should not be mistaken for victory. US rates are still the highest in the industrialized world, and disparities persist among women of color and women in poverty. The Campaign's new CEO, Ginny Ehrlich, will reflect on what strategies have worked to reduce unintended pregnancies and what needs to happen to ensure that all young women – no matter where they live or who they are – can decide when, if and under what circumstances to get pregnant. She will share how The Campaign's strategy is evolving today, including cutting edge projects like Innovation Next and Bedsider, and the resources they have to support our work as healthcare providers and researchers. Faculty service opportunities: Avoid or embrace? a study of the real world PrEP adherence in women.